Linux documentation can be found in man pages, info files, HOWTOs and FAQs, and elsewhere. (For example, also the kernel Documentation directory contains a lot of good stuff.) A nice index for the man pages in Fedora Core 4 is found at the superman site. Man pages belonging to programs are usually distributed together with those programs. Therefore, the Linux man-pages distribution mainly contains the pages for system calls and library routines, special devices, and file formats. However, it also contains documentation for a number of programs, in cases where the authors or maintainers of the program do not distribute man pages themselves. The Linux man pages are maintained by Michael Kerrisk. Corrections and additions are welcome. 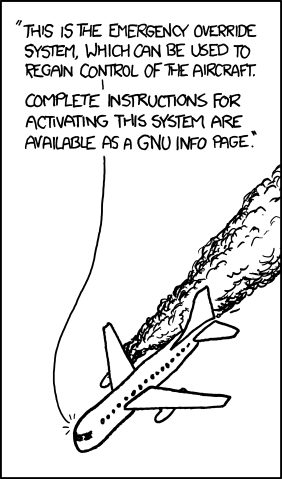 The page undocumented (3) contains a list of routines present in glibc for which no man page is available yet. Several translations are or were in progress. Local copies, probably outdated: cs, da, de, es, fi, fr, it, ja, ko, nl, pl, pt_BR, ro, ru, zh. For Chinese translations, see cmpp.linuxforum.net and github/lidaobing/manpages-zh. For Dutch translations, see the above local copy. The server at nl.linux.org no longer exists. For Finnish translations, see Project Finnish man pages (updated 2003, on WayBack). The project seems to have died because of GPL-license problems. For French translations, see manpagesfr.free.fr (updated 2008) and alioth (updated 2014). Additional pages live at http://www.delafond.org/traducmanfr/. For German translations, see http://www.infodrom.org/projects/manpages-de/ (updated 2006) and alioth (updated 2016). For Italian translations, see www.pluto.it (updated 2008) or ftp.pluto.it (updated 2015). For Japanese translations, see https://linuxjm.osdn.jp/download.html. See also the JM home page. For Korean translations, see man.kldp.net (updated 2009). The above local copy (an rpm file) contains Hangul manpages maintained by Chu-yeon Park. For Polish translations, see http://ptm.linux.pl/. For Brazilian Portuguese translations, see http://ldp-br.conectiva.com.br/projetos/man-pages/. For documentation other than man pages, see the LDP home site.